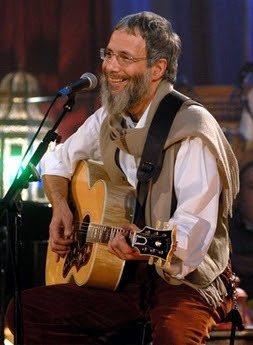 Remember when you were in High School and you absolutely loved Cat Stevens? Then he stopped making music and became all Muslim born-again like. That was a bummer. BUT! He's back and making music again to promote peace. He gave an interview in which he said his son came home with a guitar and he and it just got back together. And yes, he does feel badly about his abrupt departure from us all.